India figures at the top of a list of 20 countries that receive the highest number of spam calls, with a smartphone user getting over 22 spam calls on an average every month in the country, a new report said on Thursday. 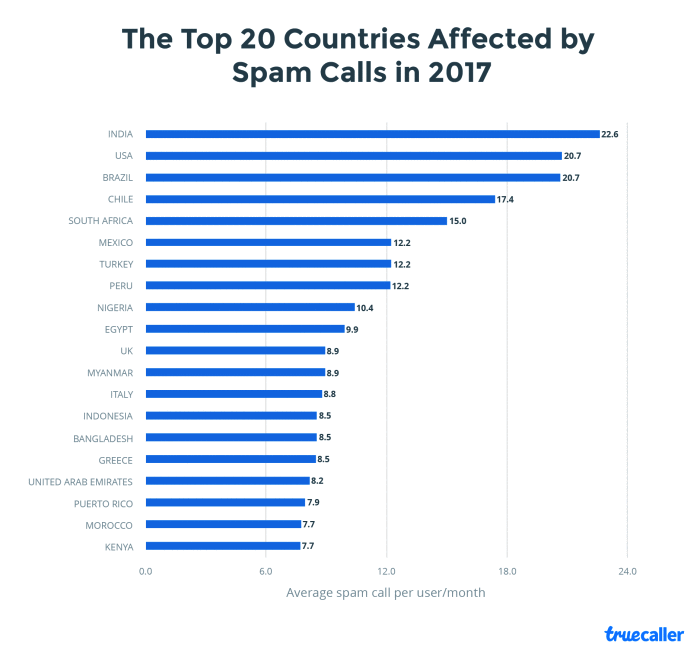 The report by call identification and spam detection app Truecaller revealed that the US and Brazil with an estimated 20.7 calls per user each month tied for the second spot in the list. In India, most of the spam calls constitute selling data plans and promotions, etc. Other spam calls that users receive are generally related to debt collection, bank, political, health, spam, telemarketing, financial service, scam and insurance. “India’s spam call issue lies with operators and financial services. Many of these operators are seeking to provide special offers for free data, or unlimited calls. 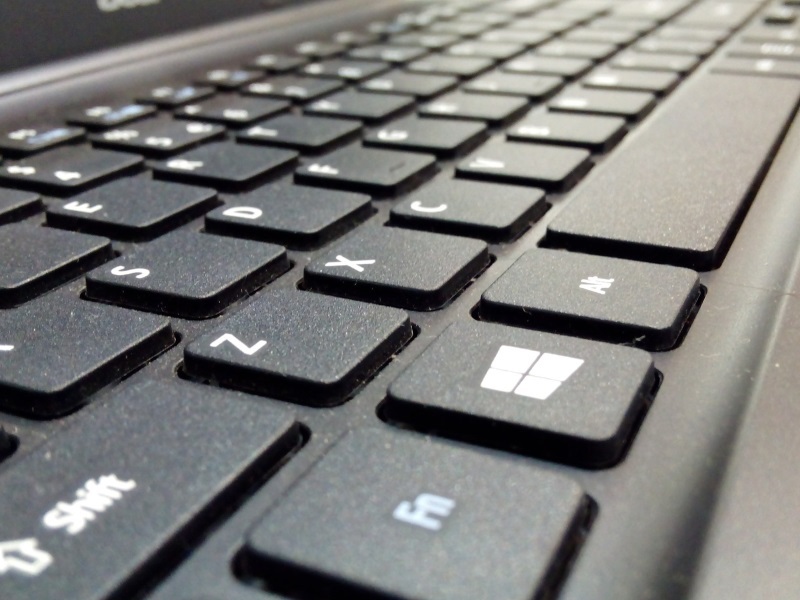 Which doesn’t sound so bad – until you get bombarded by them,” the report revealed. 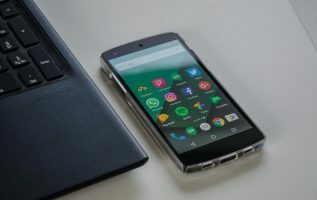 The report further revealed that in the US, spam calls are dominated by harassment, pranks and scam calls while financial services and debt collectors is also a big category that is spamming users in the US. Other countries that figure in the list include Bangladesh, Britain, Kenya, Chile, Egypt and Italy, among others. For the report, Truecaller aggregated data anonymously from incoming calls that either had been marked as spam by users or automatically been flagged by Truecaller during the period January 1-May 31 this year. During the survey period, Truecaller users received over 5.5 billion spam calls.